Trusted Clean 'Eliminator' is our most popular heavy duty butyl cleaner and is considered the industry standard. Eliminator is a 8% butyl solution, that removes heavy deposits of grease, baked on carbon, soot, gums, resins, oils, inks, waxes and other heavy soils with a pH of 12.5-13.5. 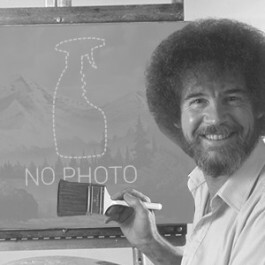 Great for use in schools, restaurants, factories, print shops, garages and more. Ideal for use in food service degreasing, due to it's foaming nature, but it can also be used to clean all types of machinery, floors, presses, ovens etc. Mix 6 oz. 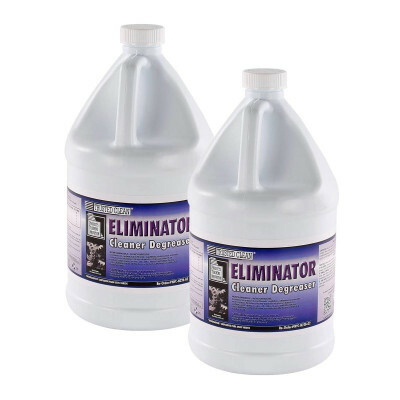 of Eliminator per 1 gallon of water. We have a ready-to-use solution that is very similar, called Knock Out food service degreaser. Knock Out is especially great for the food service industry because it comes in a spray quart bottle, and can be used immediately up on delivery. Eliminator needs to be mixed with water to clean, but comes at a better cost per gallon because of it's concentrated formulation. Take a look at our complete line of degreasing solutions for other options. Customers who were interested in the Trusted Clean 'Eliminator' Floor Cleaning Degreaser - 2 Gallons were also interested in the following items. This is a review for the Trusted Clean 'Eliminator' Floor Cleaning Degreaser - 2 Gallons.